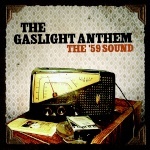 The Gaslight Anthem Fan Forum • View topic - Who wrote which songs? I'm curious, what percent of the songs were written by which members? Where can I find this info? I was under the impression Brian Fallon wrote most, but I may be wrong. Re: Who wrote which songs? I checked a few of the vinyls I have for this info but didn't find it. I would bet Brian Fallon wrote the majority on the songs. I kind of remember hearing somewhere that Benny might have written one or two. Don't remember though and it could have been a different Benny in a different band. johnkelly730 wrote: I checked a few of the vinyls I have for this info but didn't find it. I would bet Brian Fallon wrote the majority on the songs. I kind of remember hearing somewhere that Benny might have written one or two. Don't remember though and it could have been a different Benny in a different band. I originally thought Brian wrote most, but I saw an interview where he said every member contributes equally to the band. If that is the case, surely they would write a lot more than we think? I did some research and apparently the CD inserts give the entire band credit for all of their original songs. They were "written and composed by Brian Fallon, Alex Rosamilia, Alex Levine, and Benny Horowitz." Group effort, it seems. Hmmm.... some were definitely written by individuals. Brian has even said "I didn't write this" on one song specifically right before he plays it. PJK wrote: Hmmm.... some were definitely written by individuals. Brian has even said "I didn't write this" on one song specifically right before he plays it. For which song does he say that? It is an excellent session if you haven't watched it.